As one of the world's most popular spectator sports, soccer has been converted to videogames for decades. 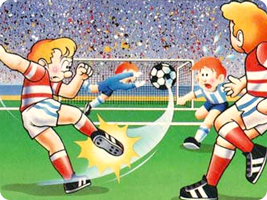 Nintendo was the first company to develop a soccer game for the NES, but many other companies followed with their own take. Nintendo has returned to the sport a number of times, usually focused on the Japanese and European markets, where the sport is more popular.